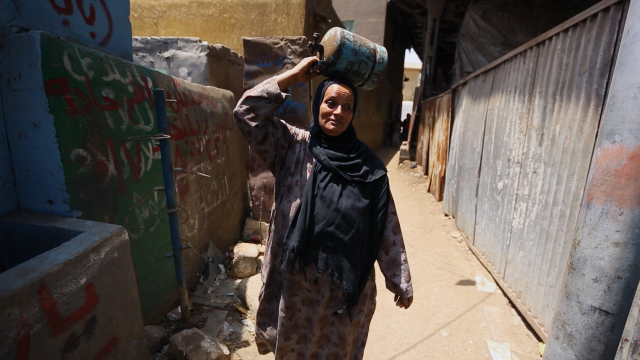 ‘One big family’ is how Um Ghareeb describes her ‘al Gami’ya’ community in one of Cairo’s poorest districts. Driven by the women who rule the roost, all members regularly contribute a small amount of money into a pot. At weekly meetings, a collective decision is made as to how to share it. Reem Saleh spent six years following this colourful community, revealing their daily struggle for survival and touching solidarity in an inhospitable world. “We are wretched here, we are living below the poverty line.” In spite of Umm’s bleak words, an astonishing community spirit reigns in Rod el Farag. Its inhabitants find peace and happiness in those around them, and in the little food and resources they have to survive. Though Nagwa divorces her husband and is left to fend for their baby boy alone, she finds all the strength she needs in her son: “He fills me with so much light and beauty”. Young Dunia, a fiery girl who can frequently be found leading a swarm of shouting children through the streets, uses her share of the union’s money to undergo the life-threatening operation of female genital mutilation. In this life where she has next to nothing, the right to make decisions about her own body is the ultimate step towards freedom, purposely disobeying her father’s wishes. Her actions cause him to walk out on her and her mother for good. As relationships come and go, couples divorce and re-marry and new children are born, Umm and her fellow citizens plod on. Through all the hardship, occasional weddings light up the district, as streets are decked out with spangled silver drapes and bejewelled fringing that glimmers from trestles, while laughter and dancing fills the streets. But the daily grind must go on. 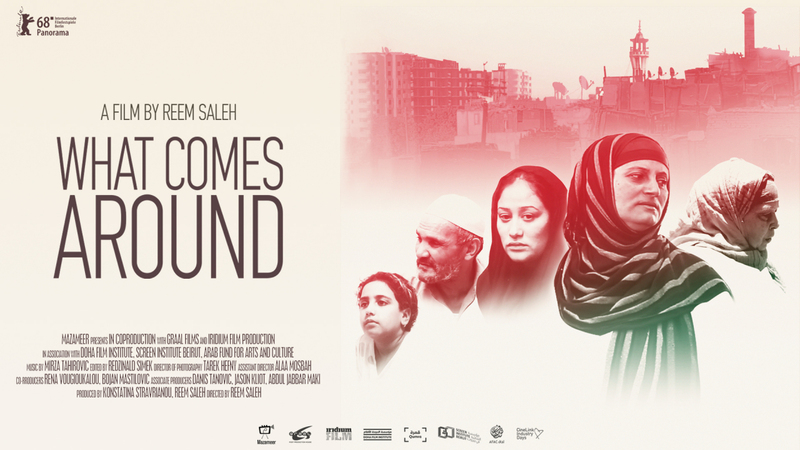 When Umm’s husband Adel suddenly falls ill, he divorces her and casts her out of the house with their children, obliterating 28 years of marriage in a moment. Nagwa makes up with her husband three times, having two more children, before Islamic Law prevents the thrice-divorced couple from reuniting again. Dunia abandons school, deciding instead to help her mother run the shop that provides their small income, forever waiting for her father to return. In spite of everything, What Comes Around presents a unique community who somehow find light in the darkest of corners. 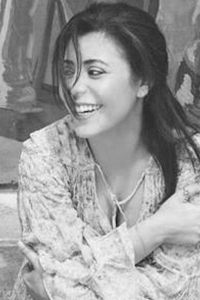 Born in 1979, Reem graduated from the Lebanese American University in Beirut with a BA in radio, TV, film and psychology. She began her career as a theatre and film actor, went on to direct a short film and a play and has worked on a number of TV documentaries. In 2006 she moved to Qatar to work as a producer and voice artist for the Al Jazeera Children’s Channel. She has since long been immersed in the media industry in the Middle East. She worked with Murr Television (MTV), Rotana Tarab, Rotana Khlaeejia, and the Doha film institute. Reem comes from a mixed background with a Lebanese father and Egyptian mother. She was not particularly close to her Egyptian roots, that is until her mother passed away in 2009 and she went back for the burial. At that point Reem wanted to reconnect with her Egyptian heritage and get to know the neighbourhood that her mother had grown up in. It is then that she discovered ‘The Committee’, an internal banking system in poor neighbourhoods, where members are chosen and each pay a monthly amount over a period of 10 months into a pool. Each month one of the participants collects the whole amount for a particular needs like weddings, medications and education.